Recently we looked at examples of paid web directories and free directories to help you compare your options when promoting your website. Today let’s focus on niche web directories — ones designed to serve a very specific niche, industry, or audience. 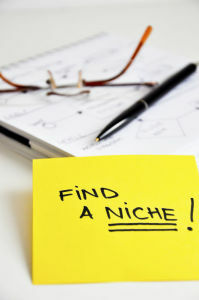 Niche directories can be valuable resources for visitors and website owners alike. That’s because they connect people with the kinds of sites they’re interested in while driving well-targeted traffic to the sites they feature. Let’s look at five great examples. Note: These directories are in alphabetical order. EarthCam features live webcam content from around the world, such as live video of popular destinations (like Times Square over New Year’s Eve). It launched in 1996. This directory has immense entertainment value for regular visitors, letting them watch the world from home — from their favorite cities to zoos to current news events. If your company or organization has live webcams, this is the directory you want to be in. You’ll be right in front of people looking to spend time watching videos like yours. EcoMall, launched in 1994, specializes in eco-friendly shopping resources. By linking only to companies and products that are good for the earth, EcoMall serves the needs of consumers looking to live in a more sustainable world. Whether your company sells eco-friendly cleaning projects, works towards energy conservation, or promotes organic gardening, you’ll reach your target audience here. Better yet, EcoMall targets consumers, meaning those visitors are often ready and willing to buy. GreenBook offers a directory of marketing research companies for people or businesses interested in buying market research data and services. Visitors can browse either by location or by market research specialties, and they have access to an article database related to market research. List your company at GreenBook.org to receive a comprehensive supplier profile, letting you highlight your industry expertise and reach the site’s 65,000 monthly visitors. HG.org is a legal directory connecting visitors with lawyers and law firms since 1995. Other legal industry listings are also featured, from legal jobs to law schools. This directory is one of the most intuitive and comprehensive niche directories visitors will find. It’s easy to find exactly what you’re looking for with several niche directories on the site rather than one massive directory. Whether you’re an attorney or local government representative (or anything in between), it makes sense to have your site listed at HG.org. This is the go-to source for information in the legal world, and with thousands of your competitors already found there, you don’t want to be left out. TravelTourismDirectory.net is a travel industry directory featuring travel agents, travel guides, tourism sites, and other travel industry resources. The main benefit to visitors is the directory’s ability to connect them with all of the travel resources they need in one place — airlines, hotels, car rentals, attractions, and more. An article collection helps attract more visitors interested in making travel plans. That allows them to send highly targeted traffic to travel-related companies listed there. Leave a comment to tell us about some of your favorite niche web directories, and tell us what makes them stand out.